We are here to help you learn how to fix your own bike! 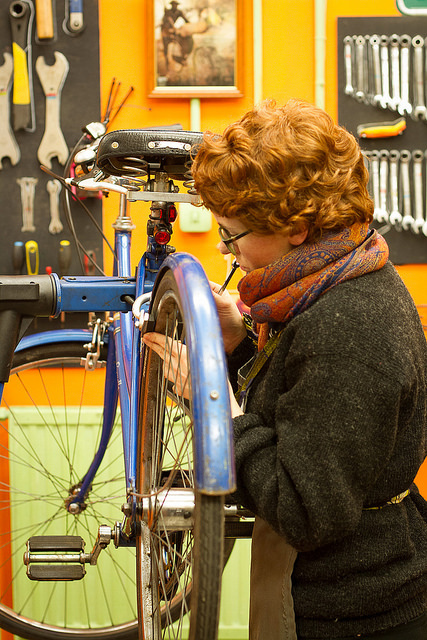 Our bike mechanics run open workshop sessions supported by volunteers where we help you fix/accessorise/build your bike and answer your questions. 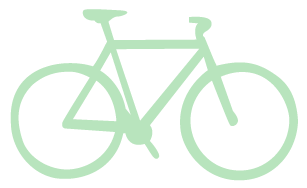 However big or small your bike-related issues, get yourself down to our open workshop. Everyone is welcome, no appointments or experience are necessary (just a bit of time and an open mind)! Some jobs take longer than expected, so it’s best if you allow enough time to do the fix you know about, and possibly some fixes you don’t. To ensure we can help you repair your bike during the workshop hours, we don’t start any new jobs during the last hour of the open workshop. This is important because unfortunately we don’t have extra space to store any bikes overnight. During busy sessions the workshop is filled with tools, parts, bikes, and people. Use of the space is always at your own risk. We aim to create a safe and inclusive space for everyone so before you head over we ask you to take a look at our safer spaces policy. Ask a mechanic to double check your bike for safety before riding away. 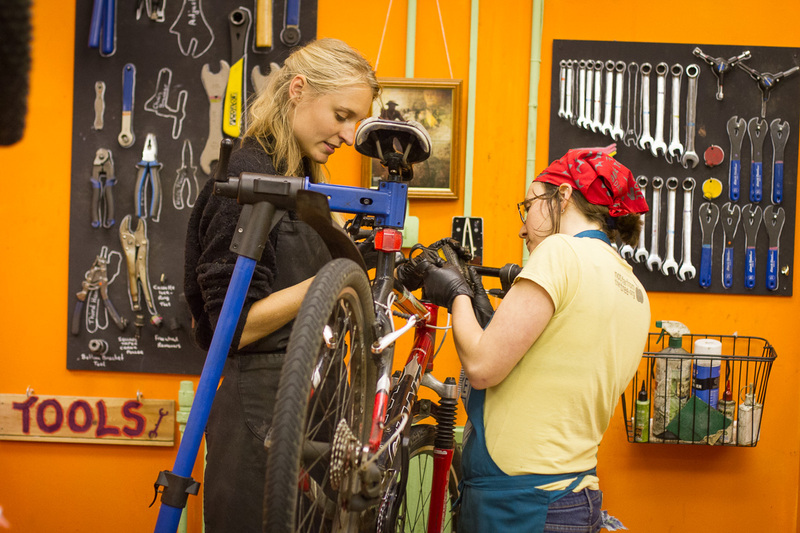 When you come to use the workshop, we ask you to support Broken Spoke’s sustainability with a contribution between £15 and £5 per session (extra donations are always welcome!). Your contribution helps us provide you with guidance from our highly skilled mechanics and volunteers, pay the rent for our central Oxford workshop and generally keep the show on the road. In addition to workshop time your contribution includes the use of lubes, cleaners, gloves, rags, an apron, and access to bike repair literature. We also have a fully stocked tea and coffee selection and a jar of biscuits available for when your blood sugar level drops or your patience runs out. We’ve got a fully stocked bike repair tool kit (so you don’t have to fork out for a tool you’ll only use twice). Our tools are made by respected trade manufacturers such as Park Tool, Unior and Pedros (and sometimes by us). We also have lubes and cleaners, we use Green Oil ecological stuff as much as possible. We also have a massive stock of used parts from handlebars to headsets and everything in-between including vintage stuff, forks, frames and wheels. These parts often enable us to help you fix problems which would otherwise be irreparable (and they are generally much cheaper too). If you have been to a drop-in session we welcome your feedback. We’ll read it and take it on board, we really will! Want to learn more? Check out the courses we offer!